Tumours on cattle are unsightly and often cause significant welfare issues, even before they reach the stage where they are life threatening. Cancerous growths in livestock occur less frequently than in companion animals as they are generally associated with old age, but there are a few specific types to be aware of. 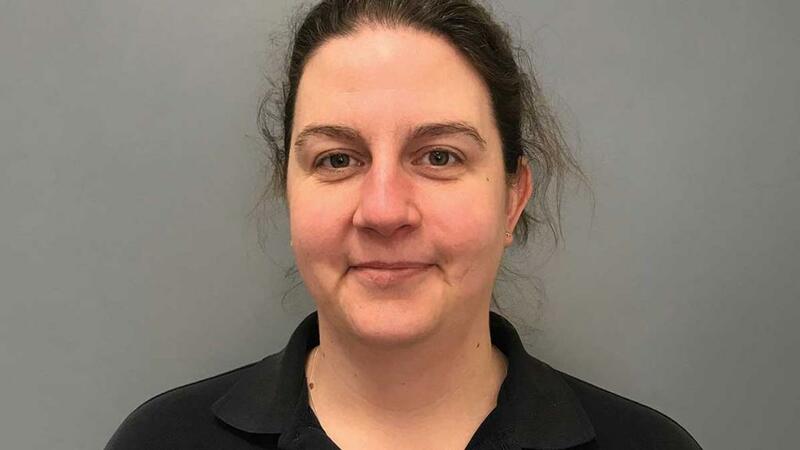 This is according to Helen Scott, large animal vet with Carmarthen Veterinary Centre. She says she does not come across tumours very regularly, but if farmers notice them on cattle, she recommends prompt veterinary attention. Ms Scott points to ocular squamous cell carcinoma as the most commonly found tumour in cattle. It occurs in a range of breeds, although they are seen more frequently in white faced breeds, such as the Hereford and Simmental. Most eye cancers develop from a precursor lesion which can vary from a papilloma to an ulcer. As the disease progresses from the precursor to the cancer stage, the tumour can become ulcerated. Ms Scott says: “Ocular squamous cell carcinoma occurs more often in older cows and in those which have white skin around their eyes. “Generally the tumours are easily visible as they grow on the outside of the eyelid and sometimes on the third eyelid. They can grow slowly, but sometimes change dramatically in appearance within a short time. Ms Scott says animals will generally cope very well with only one eye and in most cases, do not even lose their position within the herd. External tumours elsewhere on cattle are relatively rare, although occasionally some breeds such as Jersey cows will develop melanoma. 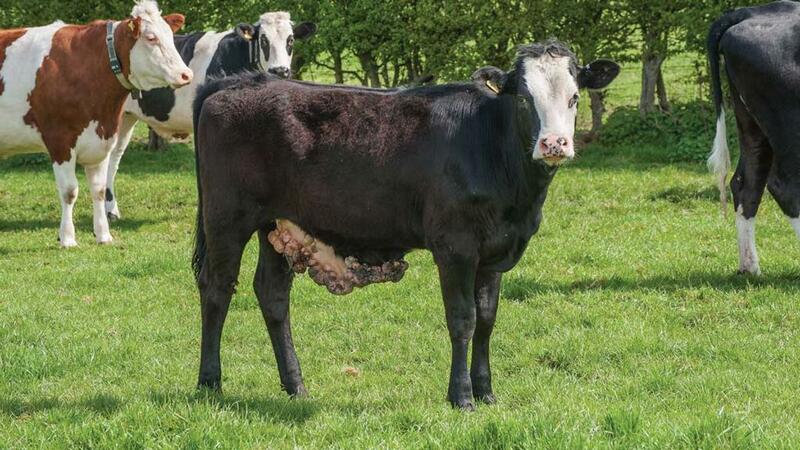 There are two types of lymphosarcoma or cancer of the lymphatic system seen in cattle, of which only sporadic bovine leucosis (SBL) is found in the UK. It is seen in calves and youngstock with the animals often presenting dramatic enlargement of the lymph nodes. “If young animals are typically losing weight and blood and faeces tests are inconclusive, the animal may have lymphosarcoma. Treatment is generally not undertaken and euthanasia is recommended,” Ms Scott says. The other form of lymphosarcoma is enzootic bovine leucosis (EBL), which is seen in adult cattle and caused by the bovine leukaemia virus (BLV). It has been eradicated in the UK and much of Western Europe. “Animals rarely show signs of EBL in the early stages,” she adds. “The tumours may form in the abomasum and the first outward sign of this will be the animal losing weight. Occasionally tumours will occur in the uterus, lungs and spinal cord. A less serious form of tumour is the bovine papilloma virus which commonly affects younger cattle. A mass of warts will often form on the muzzle or occasionally the teats. Ms Scott says it can be treated, but in many cases will disappear of its own accord. “Animals badly affected by bovine papilloma virus can be treated with an autogenous vaccine made from a solution containing fragments of the tumour,” she says. “This vaccine primes the immune system to recognise the wart as an external body and attack it. “In many cases, the body will respond to the virus and often the warts will disappear from the teats and the muzzle as the calf’s immune system deals with them. “Treatment may be considered if the virus infection appears widespread in the cohort, although there is no clear evidence of cow to cow transmission of the warts as often only one animal may be affected. “The warts are unsightly, so treatment may also be justified on aesthetic grounds, especially if the animal is being prepared for sale. “Sometimes the warts form on the teats of heifers. If they are affected during their lactation, the warts can cause discomfort during milking and may lead to mastitis. Ms Scott recommends adopting measures to minimise the contact between cows and fly populations where possible. Flies are a potential vector involved in the transmission of viruses linked to tumours, especially the bovine papillomas. Cattle on poor grazing where bracken is abundant may be at risk of another form of tumour, according to Ms Scott. “Bladder tumours tend to occur infrequently in older cows which have been grazing on bracken for periods of time,” she adds. Typically, red blood will be seen in the urine. This is due to cancerous changes occurring in the bladder. In severe cases, it can lead to blood loss and difficulty passing urine with blood clots. In some animals, cancer occurs in the gut as well as the bladder. In any suspected case of cancer or an external tumour, Ms Scott strongly recommends consulting a vet as soon as possible as the condition can pose a serious welfare issue if ignored. Prompt diagnosis may improve the prognosis where treatment is possible. Cancer in cattle is relatively uncommon in the UK, but ocular squamous cell carcinoma occurs more widely and can be treated by the removal of the eyeball. In most cases, this will allow the animal to continue to live a normal, healthy life. A study of conditions affecting cattle sent to UK abattoirs showed the occurrence of tumours, warts and papilloma in the top five recorded conditions identified prior to slaughter between 2008 and 2011. Skin cancers, or melanomas, occur rarely in cattle in the UK but are more frequently encountered in the United States and antipodean countries, possibly due to climatic factors. The bovine papilloma virus causing warts in cattle is thought to be connected to the occurrence of sarcoids in horses, but the method of transmission is still not clear. Previous Article The dairy bull calf debate: What are the options for UK farmers?